SHANGHAI, China -- ZF Friedrichshafen is investing 50 million euros (412 million yuan) in a fivefold expansion of its Shanghai headquarters and research hub. The expansion -- to 54,000 square meters from 11,000 square meters -- will facilitate increased design of global products for the German supplier. While most of ZF's r&d is undertaken in Germany, the Shanghai facility has become increasingly involved in product development. Products designed there include an electric power steering system for microcars and subcompact cars that uses a compact servo unit attached directly to the steering column. It is currently used on the Tata Nano in India, and on subcompact models produced by Shanghai General Motors, Jianghuai Automobile Co. and Great Wall Motor Co.
ZF Shanghai is testing a variant of its nine-speed automatic transmission. "It will be developed here and is planned to enter mass production in China first in 2017," said Ye Guohong, president of ZF (China) Investment Co. The center is also developing a rear axle that combines a transmission and an electric motor in a single lightweight aluminum housing on each wheel. The component, called an electric twist beam, is designed for electric cars and hybrid-powered vehicles. It is also likely to be produced in China, Ye said. 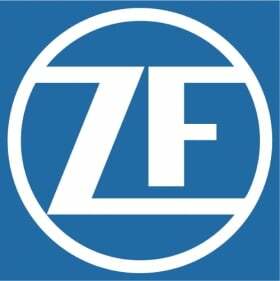 ZF, which opened its first production plant in China in 1994, now operates 25 factories there. ZF ranks No. 9 on the Automotive News Europe list of the top 100 global suppliers, with worldwide sales to automakers of $20.4 billion in 2013.